Are you a Playfish Cash virgin? 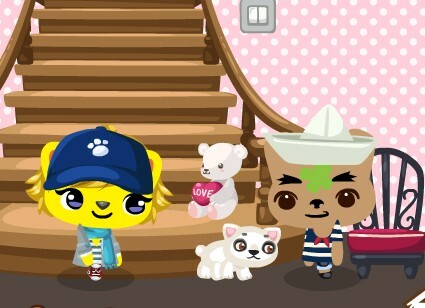 Do you refuse to spend real money on Pet Society? Are you the only one amongst your friends who doesn't have a fishing glove or a secret garden? 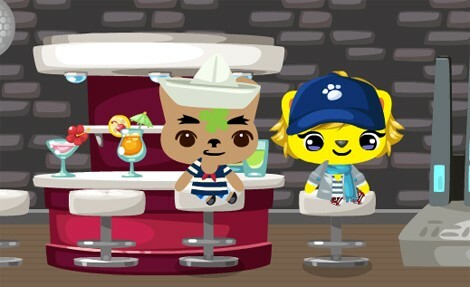 If you've already given in to the temptations of cash items, do you remember your first time? What did you buy? Heiða was excited by the gift, but she was careful not to blow it all away. So what did she buy? "I bought a socialite potion, a bear petling, a large room and a wig dye," she said (pictured above). "I haven't bought much cuz it's the only Playfish Cash I'll ever have, so I'm trying to make it last a long time. 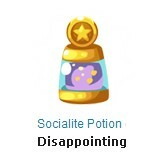 The socialite potion was a big disappointment to me and many others." According to the Boutique, it's supposed to cause a magical effect for seven days and allow you to earn more coins per visit. But Heiða says that it didn't change much. "My favorite item is probably the large room I turned into a bar," she says. (Expanding a room costs 15 PCs.) "It looks so cool. Gigi Mac gave me a disco ball to put in there and it really completed the room," Heiða says. "The bear petling is also super cute. I tried to do online research on everything I wanted. My boyfriend calls me a petaholic and I'm starting to think it's true, seeing as I play PS more then I will ever admit," she says. Do you remember your first PC purchase? What did you spend the money on?